A leader in website design and website hosting. We host from twenty data centers in twelve countries on six continents via our data centers and cloud networks. Host your website in New York, Detroit, Chicago, Orlando, Lakeland, Los Angeles, Seattle, Quebec, London, Dublin, Amsterdam, Stockholm, Frankfurt, Paris, Strasbourg, Milano, Sydney, Tokyo, Johannesburg or Sao Paulo. The choice is yours! Our domain selection is among the largest with hundreds of domain extensions available. Our .CO domain prices are lower than our competitors. Today's competitive marketplace requires that your business uses the most efficient and reliable hosting services. 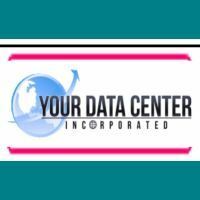 As a valued web hosting client of Your Data Center you will enjoy all the unique benefits of our state-of-the-art data centers located in New York, Detroit, Chicago, Los Angeles, Seattle, Quebec, Orlando, Lakeland, Tokyo, London, Dublin, Amsterdam, Stockholm, Strasbourg, Frankfurt, Paris, Milano, Sydney, Johannesburg and Sao Paulo. 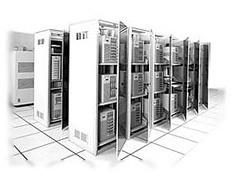 Copyrights 2006 - 2014 Your Data Center Incorporated. All Rights Reserved.